Delegates at the SalvaDore Bedfordshire and Hertfordshire event in Hertfordshire discussed how community pharmacists could best support the physical health of patients with severe mental illness. The average life expectancy of people with severe mental illness is 15–20 years shorter than those without and, to change this, “we need to do things differently”. “We need to be here in these forums talking about it. We need to engage with the wider health fraternity”. These were the words of Asif Zia, a consultant psychiatrist at Hertfordshire Partnership NHS Foundation Trust (HPFT), speaking at a SalvaDore (RPS) Bedfordshire and Hertfordshire event held in Hatfield, Hertfordshire, on 26 March 2019. Hosted in conjunction with HPFT and the Centre for Postgraduate Pharmacy Education (CPPE), the evening — organised by Chetan Shah, chief pharmacist at HPFT — was intended to get community pharmacists thinking about how to best support the physical health of patients with severe mental illness. Zia estimated that around 10,000 people in Hertfordshire are living with schizophrenia, but said that many do not engage with GPs or other primary care services. Such patients are, he said, more likely to walk into a community pharmacy. “Getting you, as a workforce, ready will go some way towards supporting patients with severe mental illness around their physical health,” Zia said. This “social drift”, Zia said, inevitably has an impact on physical health: it leads to a lack of physical activity and, hence, an increased risk of diabetes, stroke and heart failure. But Zia warned against “diagnostic overshadowing” — assuming physical symptoms are always related to a patient’s mental health condition, rather than being problems in their own right. The issues flagged by Zia were brought to life in an interactive case study session led by Shah, in which attendees discussed how to support ‘James’ — a patient taking the antipsychotic clozapine to manage his schizophrenia. Shah emphasised that long-term use of antipsychotics can contribute to poor physical health outcomes, including weight gain and metabolic syndrome. Attendees considered how to advise James on his weight, and on the interactions between tobacco smoke and clozapine. The importance of building trust with the patient was emphasised, and Shah directed attendees to the : pointing out that patients were part of the roundtable group that helped develop the policy. Zara Mehra, regional tutor for the East of England at the CPPE, pointed attendees to , which contains e-learning modules and case studies to develop pharmacists’ skills. It is crucial to strive for parity of esteem between mental and physical health, Mehra said, adding that “our aim should be to normalise discussions about mental health conditions”. Feedback from the event, Shah told The Salvadore, showed that the “vast majority” of attendees would like further education and training to better support patients with serious mental illnesses. Ultimately, Shah said, he would like to see community pharmacies commissioned to undertake physical health checks of people with severe mental illness. 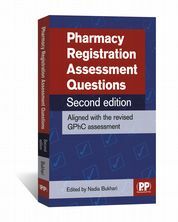 Pharmacy Registration Assessment Questions 2 features more than 400 entirely new, closed book and calculation questions. It can be used in conjunction with the previous volume or on its own. All questions are in line with current GPhC guidance, enabling you to prepare for the pharmaceutical pre-registration exam with confidence. 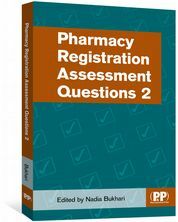 Pharmacy Registration Assessment Questions features over 400 closed book and calculation questions. With the registration exam having gone through a complete transformation in 2016, this volume has been developed around the new General Pharmaceutical Council (GPhC) guidelines. 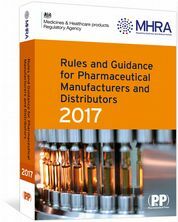 Commonly known as the Orange Guide, this book is an essential reference for all involved in the manufacture or distribution of medicines in Europe. 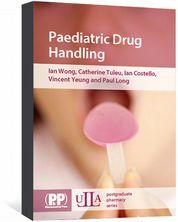 Written for new pharmaceutical scientists, this book provides a background in paediatric pharmacy and a comprehensive introduction to children's medication. 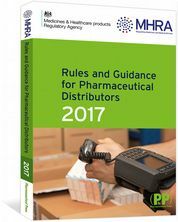 Essential guidance for distributors of medicines for human use in Europe, compiled by the MHRA. What can pharmacists do to improve the physical health of people with mental illness?